Golf and the lake are intertwined in 417-land. Johnny Morris’s properties are among some of the top and most exciting courses anywhere, with more on the horizon. Here is a list of some of the options for those who are looking to improve their handicap. It’s hard not to name-drop when going into detail about this course. 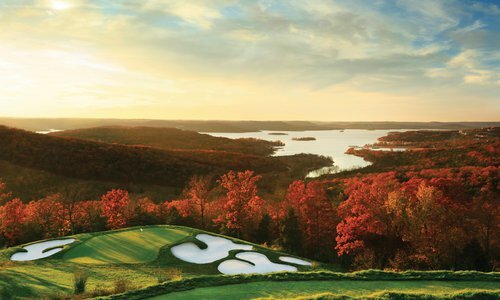 Like when a band brings together a superteam of producers, Johnny Morris got Jack Nicklaus, Tom Watson and the late Arnold Palmer together to collaborate on Table Rock Lake’s nine-hole, Par-3 golf course. 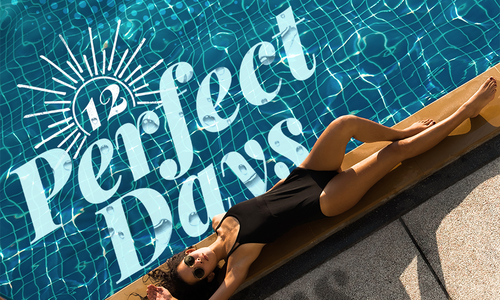 Bring your clubs or rent from the club for $65. Call Big Cedar Lodge at 1-800-225-6343 for tee times or information about lessons. A few miles from Top of the Rock lies Buffalo Ridge Springs, an 18-hole, Par-71 championship course designed by architect Tom Fazio. After opening in 1999, It has since undergone renovations with direction from Fazio and Johnny Morris. The course has been named the top public golf course in Missouri by Golf Magazine, and is a good complement to Top of the Rock’s course. Call Big Cedar Lodge at 1-800-225-6343 for tee times or lessons. 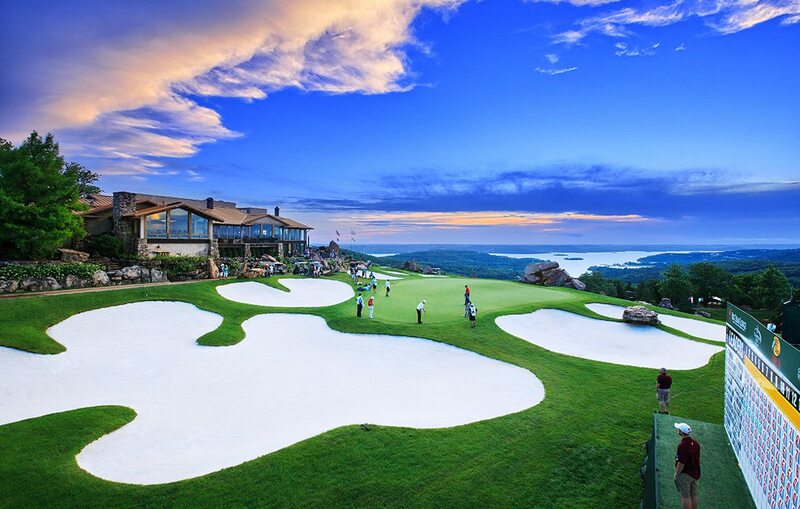 Designed by Chuck Smith with help from design consultant and PGA professional Bobby Clampett, Branson Hills, located in Branson, is a sprawling Par-72, 18-hole course that has consistently been recognized by Golfweek as the top in Missouri. It’s about 20 minutes away from the courses at or near Table Rock Lake. For tee times, visit the portal at Branson Hills’ website at bransonhillsgc.teesnap.net. Tiger Woods is coming to Missouri. Woods, along with his TGR design firm, is building Payne’s Valley, a partnership with Johnny Morris. It will be located near Buffalo Ridge and be under the Big Cedar Lodge fold in Branson. It’s the first public golf course Woods’ firm will undertake. The course will conclude with a Par-3 19th hole designed by Morris. More information should be available as the year goes on, but the target open date is 2019. 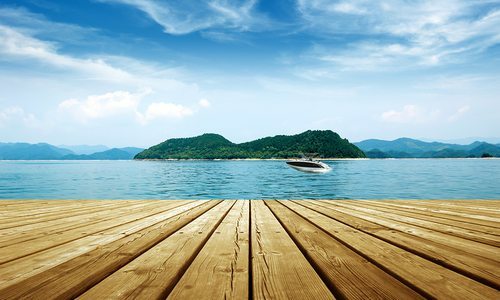 We've got your guide for finding the version of lake living that is perfect for you—and what gear you need to make the most of it this summer.